Huge data growth and the rise of big data are making it difficult for businesses to locate and secure their critical data. As such, organizations that lack proper data loss prevention solution, and those with weak data security, experience repeated data loss. With a reliable data loss prevention (DLP) solution, you can easily locate, classify, monitor, and secure your critical data, whether the data is at rest, in motion, or in use. Users of your data will not be able to send important data or information outside your organization’s network. You will be in complete control of your data and administer the type of data users can transfer. A trusted and effective DLP solution enhances data protection by discovering, monitoring, and protecting the data. You will get full visibility into all the risks and be able to prevent breaches, be it from inside or outside your organization. Remember, data loss prevention is of utmost importance to you if you are in the healthcare, financial, legal, education, government, or enterprise sector. A good DLP solution can be conveniently adapted to your organization’s needs, infrastructure, and requirements. On the other hand, file integrity protection (FIP) is core to any type of business in today’s file sharing and data explosion environment. Even a little tampering with a file can leave your business in hot waters and extreme difficulties. A robust file integrity monitoring system will let you ensure that your sensitive business data is accessed and altered only by the authorized people via the authorized methods. The system will cover any file that holds critical information and data, including financial, server, and personal information. Furthermore, a good data thread solution lets you oversee files in real time and easily spot unauthorized changes made to critical files. You will get instant email alerts for sensitive files accessed and any changes made. Also, the network security solution will act as an internal firewall, preventing unauthorized access to critical files. A timely alert about an unauthorized access attempt, a successful access, or an unauthorized change made to your important business assets can save you from deep troubles and losses. 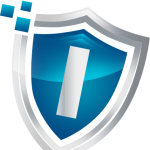 If you are looking for a robust and reliable file integrity protection service, you’re in good hands. Contact us now to know more about our data security solutions.